Bottom at the start of the day, Ingolstadt inflicted a first defeat of the season on RB Leipzig. FC Ingolstadt 04 turned the form book on its head by knocking leaders RB Leipzig off their perch with a stunning victory. Understandbly, Die Schanzer were in jubilant mood. bundesliga.com rounds up the best of the reaction to Leipzig’s first defeat of the season. 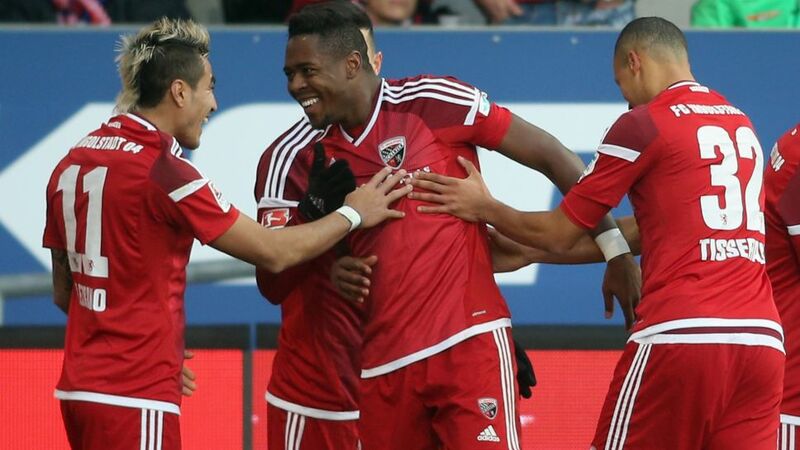 Alfredo Morales (Ingolstadt striker): "It didn’t matter who we were playing as long as we picked up three points. Of course it is a nice feeling to beat the league leaders, especially as no-one really thought we would. You saw today what we are capable of. We played very well in the first half in particular. Then in the second half, we defended intelligently. Every point is important for us and gives us a confidence boost. We need to build on this performance next week." Roger (Ingolstadt midfielder): "I’m delighted about my goal, but the three points are more important. We really motivated ourselves in the dressing room and wanted to get at the league leaders, which we did. We went into the game full of belief and knew that even as the bottom-side in the league, we would run and fight until we dropped. We showed that for 95 minutes and got our reward in the end. I would like to thank all the lads, the coach, the fans and every Schanzer! We’ll keep giving everything!" Maik Walpurgis (Ingolstadt head coach): "The team earned this victory through commitment, passion and also the way they occupied the space. It was really important for us, a relief and the first home win. I’m delighted for the fans, who really got behind us and turned the stadium into a cauldron." Ralph Hasenhüttl (Leipzig head coach): "We had a poor first half. Ingolstadt played with heart and passion and forced their style of play onto us. We never got our counter-attacking game going and barely created any chances. That was too little. We did better after the break and had three fantastic chances, but the ball simply wouldn’t go in. It was clear that we’d have a game like this one day, but it won’t knock us back." Diego Demme (Leipzig midfielder): "It wasn’t our best game, but we definitely didn’t underestimate them. Ingolstadt made it tough - they ran a lot and we had to adjust. We improved in the second half and created chances late on, but we needed to have more faith in our play instead of just launching the ball forwards. We’re disappointed to lose, but it won’t knock us off our stride."